Finding more effective medications is crucial to ending Alzheimer’s Disease. Alzheimer’s research over the last decade has focused on medications that can slow or reverse this disease; therefore, participating in clinical research trials is vital now more than ever. Taking part in an Alzheimer’s research study can be an interesting and positive experience. The study coordinator certainly plays an important role in this experience. 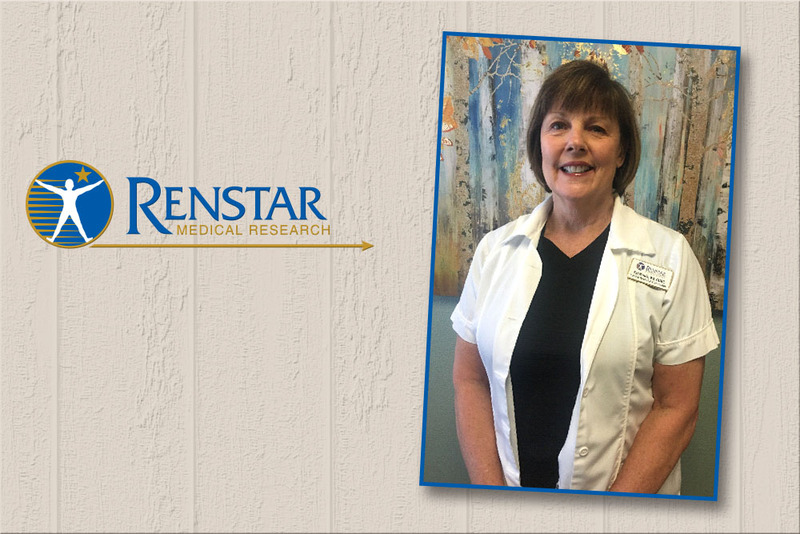 Pat Riddle, CCRC, is a Renstar Medical Research study coordinator who has worked in Alzheimer’s clinical trials for over ten years. Pat offers a personal and unique perspective while working with Alzheimer’s clinical trial patients. You have been involved in Alzheimer’s research for over a decade. What positive changes have you seen in research during this time? There have been no new medications brought to the market to treat AD since 2003. This is sad and unacceptable. The positive change now is that there is an awareness of the magnitude of this disease, and there has finally been an emphasis on the development of new treatments and allocation of funds to do this. Also, the medications that are currently approved for treating AD only temporarily help memory and thinking problems. However, our current pipeline of promising new treatments deals with the underlying cause of AD and offers hope that they can conquer this disease and stop Alzheimer’s disease. There is also a greater emphasis on the importance of early detection which can often begin with a memory evaluation done by a trained, certified professional. I do several memory evaluations each week, at no cost to the patient, and these evaluations can be very helpful in determining if there is significant memory impairment. What is it like working daily with individuals living with mild cognitive impairment and Alzheimer’s disease and their caregivers? Working with patients with mild cognitive impairment and Alzheimer’s disease and their families runs the full gamut of emotions. Offering them involvement in research provides purpose and hope for all of us. We start and end our visits with our patients and families with a hug. This is the best part of our day. Being a caregiver of someone living with Alzheimer’s is often difficult and frustrating. What advice would you give to their family and friends to help support the caregiver? The best advice I can offer that will help caregivers is to really be there for them and stay involved. Be there to listen and also give your time to help. This is 24/7 with no escape for caregivers. Just sitting with patients to allow the caregiver some down time away helps. Also be there to listen and provide support. Stay a part of their lives. I have heard so many times that “our friends don’t come around anymore.” Tell everyone not to stay away because you feel sad or don’t know what to say. Just come and be with them….they need your time and support. Can you describe some of the positive experiences you have had while dealing with mild cognitive impairment and Alzheimer’s patients? We work with many patients who have been in our clinical trials for several years. Seeing some of these patients maintain their quality of life and independence is the reason we come to work every day and do what we do. To see some of our patients living their lives to the fullest and enjoying their retirement years, I cannot express how overjoyed I am to see this and be a part of their lives.